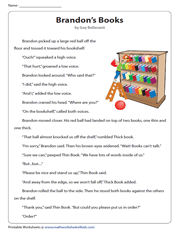 This set of 2nd-grade reading comprehension worksheets contains printable passages, poems and stories within the scope of literature, informational text and foundational skills as set by the common core. Ensure kids understand the overall structure of a text, figure out the main purpose of a poem or story, and answer questions with 'who','what', 'where', ' when' as well. Kids gain a lot of practice in sequencing events, decoding common prefixes and suffixes appropriate to grade 2. Books not only inform and educate, they can be real fun too. 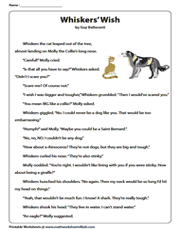 This printable PDF introduces contractions and kids dig deep into the story with MCQ and extended answers, a requisite in Common Core. 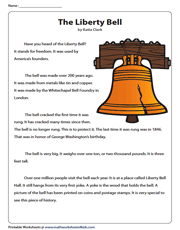 The Liberty Bell symbolizes American freedom. The informational passage prepared for grade 2, walks your child through varied question formats like MCQs, questions using 'what' and 'where' and much more. After a long wait, The Tooth Fairy is there and there's the bright coin too! 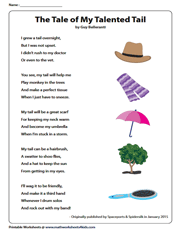 Help kids learn to sequence events, skilfully describe the setting and correlate events in the poem with their experiences. Do you know that not all animals are day-active? 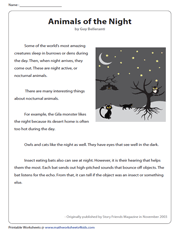 This intriguing article provides kids the basic knowledge of night-active animals. Test comprehension with a variety of questions that follow. What would you do, if you woke up to a tail in your back? 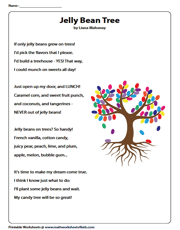 Let kids read the poem, and encourage them to understand how words and phrases supply rhythm in a poem and recount a part of the text as well. The ELA worksheet hammers home the idea that books are a man's best friend. Brandon is amazed as the books start talking. Find out how Brandon responds to the books and answer the questions too. Kids never have enough of fantasy; have a riot teaching the poem! 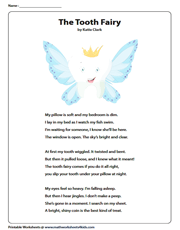 Here's an endeavor to acquaint the child with the overall structure of a poem, teach a new phrase, and reiterate rhyming practice as well. This is an inspirational account of a board game played by a family on a weekend. Kids answer the 'who' and 'what' of the 'Friendly battle' and attempt reflecting on their own life based on what they read. 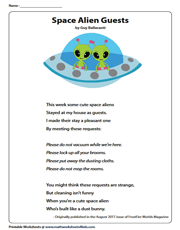 Find out how, in order to please the aliens, a child meets some strange requests. 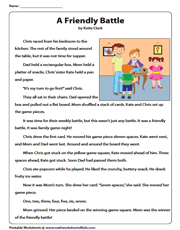 The pick of this grade 2 reading worksheet is the adjectives, and there are questions on key details of the poem and also on rhyming words. If you could become someone else, what would it be? 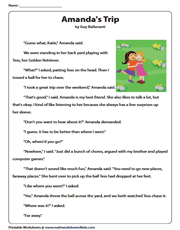 The comprehension worksheet designed as per the grade 2 Common Core standards, elucidates how a character responds to its own wishes and teaches topic-specific adjectives.